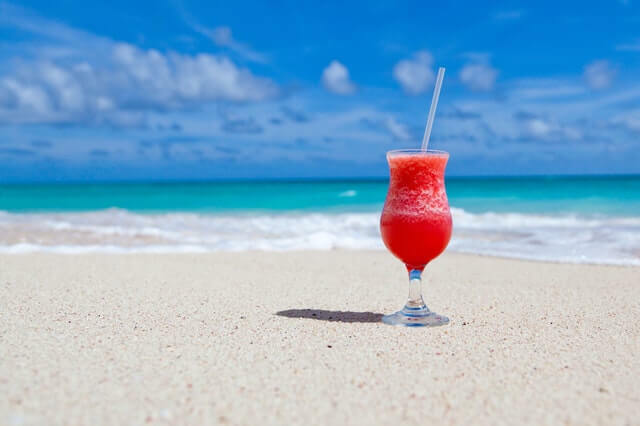 Find Information On Fort Myers Beach Happy Hours! 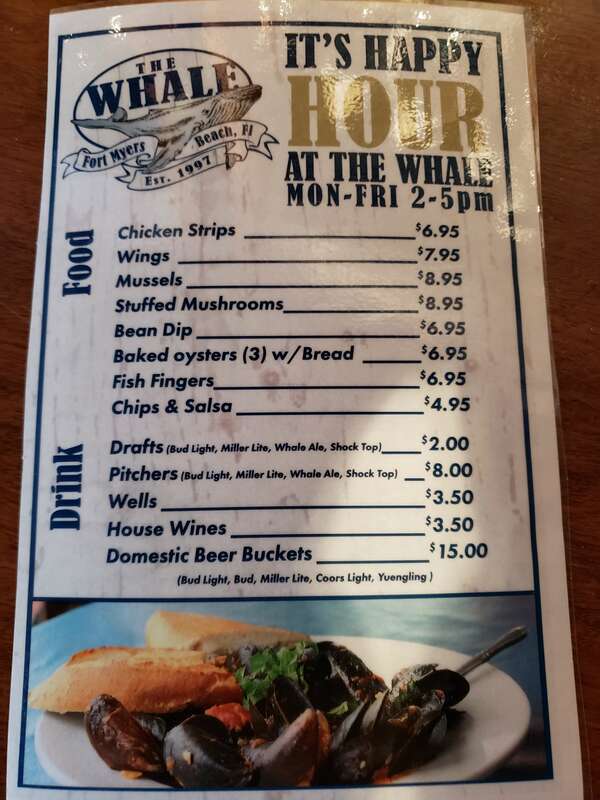 Browse our listings for hours and specials offered at Fort Myers Beach Happy Hours! Click on the link for each restaurant to see more detailed Happy Hour information. Happy Hour 3-6pm daily upstair and 11:30am – 6pm downstairs. All appetizers and most drinks are 50% off. Happy Hour 5-6pm Daily. Half- Price on Wells, House Wine, Draft Beer and Select Specialty Cocktails. Happy Hour 4-6pm Daily. $5 Margaritas, $4 Sangria, $5 House Wine, $2.50 Bud Light Draft. Half-off on selected appetizers from 4-5pm. Join us for Fort Myers Beach’s Favorite Happy Hour 3PM-6PM 7 Days A Week at Island View Restaurant! Sample dozens of Signature Drinks like our Giant Coron-ita, Mixology Cocktails and tasty Happy Hour Appetizers! $3 domestic beer. $5 You Call It Drinks. Happy Hour 3-6pm Monday-Friday, discounted beer, wine, well and call liquors. $2.50 Mimosas, Screwdrivers and Margaritas every day until 1 p.m.! We have both lunch and dinner specials daily as well as a happy hour discounted appetizer menu. 2-6 Monday-Saturday, with $2.50 Domestic Drafts, $3 Domestic Bottles, $4 well drinks, $5 wines and $14 Domestic Buckets. Plus, food specials. $2.00 domestic drafts, $3 wells & $3.50 wine. Stick around after happy hour for the best sunset view on Fort Myers Beach! We have happy Hour all day everyday on draft beer, house wine, and well drinks. We also do happy hour foods from 3pm to 6pm everyday Chicken wings & peel & eat shrimp 70 cents each multiples of 10. 4pm-7pm daily, domestic beer $2.50, wine $5, well drinks $2.50. Monday-Friday, 3-7PM. $5 12oz. Brinley Rum Runners, $4 Select Call Liquors, $4 20oz domestic drafts, $5 32oz domestic drafts. Saturday & Sunday: Famous Brinley Rum Buckets on special all day for $10. 4:30pm – 6:30pm daily, food and drink specials at the bar. TWO daily happy hours! 8 a.m. to 1 p.m.: Enjoy $2.50 mimosas, screwdrivers and bloody marys! And from 4 to 7 p.m. every day, enjoy rooftop sunset views during our evening happy hour makes for the ideal view of Fort Myers Beach skyline. $2.50 well drinks or domestic beer, $3.75 16 oz. beer, $5 specialty drinks. Appetizer specials as well. DOMESTIC BEER 2.50 | WELL DRINKS 2.50 | MARTINIS 5 as well as other drink specials. Food specials include: oysters, peel and eat shrimp, grouper bits, pizza and more! 2pm-5pm Monday – Friday. $2 drafts, $8 pitchers, $3.50 wells, $3.50 house wines, $15 domestic beer buckets. Click here to see their happy hour menu. All day every day $15 for a bucket of 5 domestic beers and $19 for a bucket of imported beers, and you can mix brands! Sunsets and live music included at no cost! Happy Hour daily 3 to 6 p.m. $2 off all appetizers. $3.50 16 oz. Domestic Beers. $4.00 Florida Craft Beers. Bucket of any 5 Domestic or Craft Beers $16.00. $3.00 House Wine by the glass.